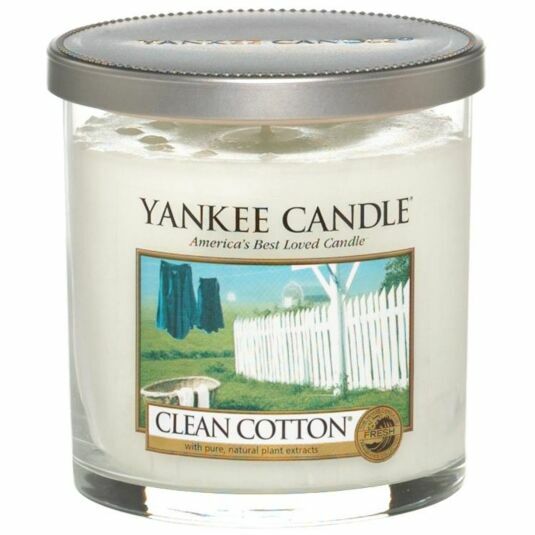 Bring a sense of calm and cleanliness to your home with this fragrant Yankee Candle. This candle comes in a small cylindrical pillar jar with a handy brushed metal lid to lock in the comforting aromas while not in use. The fragrance consists of sun-dried cotton combined with green notes, white flowers and a hint of lemon, all of which combine to conjure a familiar and comforting feeling of freshness. 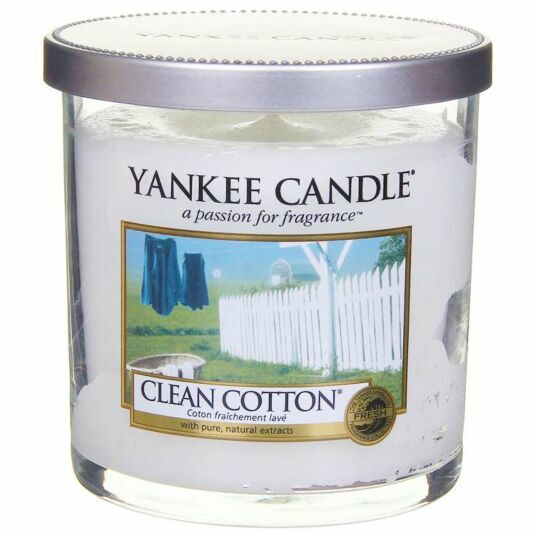 This Clean Cotton Décor small Pillar candle has a burn time of up to 40 hours and reflects a warm, relaxed sense of style that’s always at home, be it in the bedroom, the bathroom, the living room, or anywhere else you see fit. For a more subtle and simplistic touch, the fragrance label is easily removable ready to make a bold statement wherever placed throughout the home. A fabulous gift for a friend or a treat for yourself.